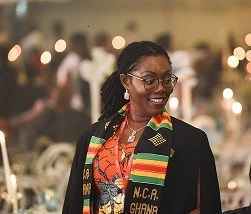 The Minister for Communications Ursula Owusu-Ekuful, has appealed Ghanaians to collaborate with government to check cyber crime and its negative impact on particularly the youth. This was contained in a speech read on her behalf by Hon. Vincent Sowah Odotei, a Deputy Minister for Communications at a forum to mark Safer Internet Day in Accra. He urged parents, teachers, industry players, media and opinion leaders to assist in disinfecting the internet of cybercrime as would be done to any other infectious outbreak. Mrs. Owusu-Ekuful said although the internet has the power to be harnessed for good purposes, some malicious people have decided to dedicate their time and resources to use this powerful tool for selfish means. The Minister said the theme for the year’s celebration, “Together for a better internet,” falls in line with government’s efforts to secure Ghana’s cyberspace through the National Cyber Security Awareness Programme which was launched in October last year. She said as part of building confidence and security in the use of ICTs, government has acceded to two major conventions on cyber security; The Budapest Convention and the Malabo Convention. These are to ensure collaboration with other countries in tackling cybercrime which knows no geographical limitation. “We have also established a National Cyber Security Centre where suspected incidents can be reported and adequately dealt with. Efforts are been made to identify legislation and policy gap between existing frameworks and international child online protection framework to incorporate issues that will seek to protect and prevent children and young people from Online Children Sexual Exploitation and Abuse (OCEA)”. We are the voice of the mobile operators and tower companies in Ghana, working through direct engagements with government (institutions), civil society, key stakeholders and consumers to shape the mobile ecosystem and maximize the socio-economic benefits of mobile in Ghana.